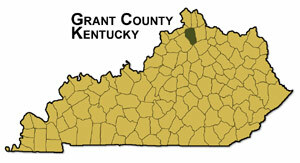 Grant County is Northern Kentucky’s southernmost county. Located at the tiptop of the Bluegrass Region, it is within one hour of Lexington and Louisville, Kentucky, and Cincinnati, Ohio. Grant County, Kentucky has two school systems within the county.